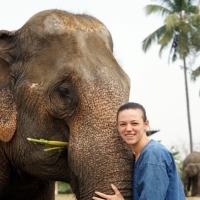 Come Visit Our Ethical Elephant Sanctuary. 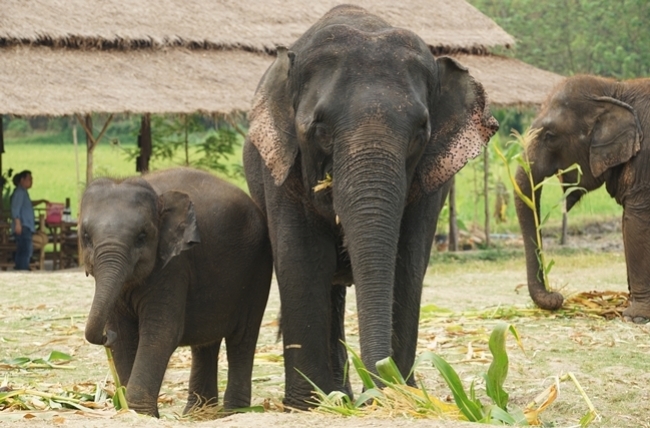 You will learn about our rescued elephants and the life of our Mahouts. 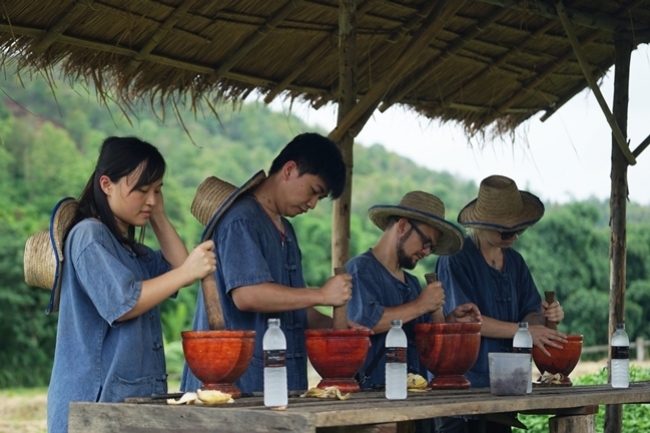 You will have the chance to participate in making Elephant food. Walk with the majestic creatures to the river while observing their behaviors and take fantastic photos and videos. 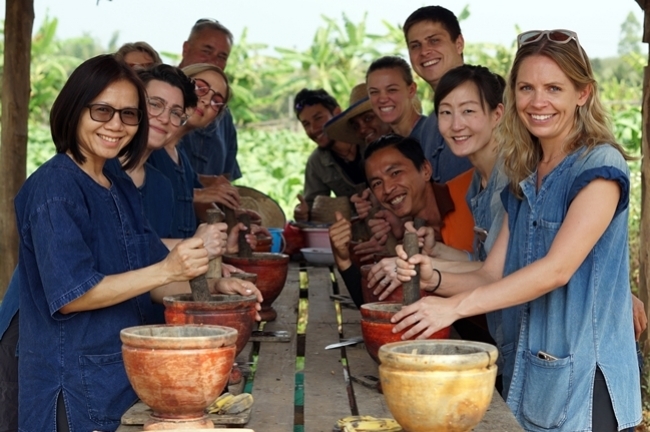 You will also be able to participate in making the herbal vitamin balls that are fed to the Elephants. Enjoy elephants Mud spa and Bathing with elephant in the river, and observe the Elephants while they roam free the property.. 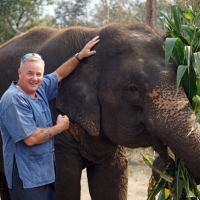 Ethical and Cruelty - Free Tour, No Force and Push Elephants as We want them to be Free.!! 8:00 : Pick you up from your hotel, and then drive thru the beautiful countryside north of Chiang Mai approximately 45-50 minutes. - Introduction and Information about Elephants. 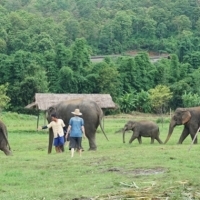 - Walk to see Elephants, observe Mahout checking elephant health. 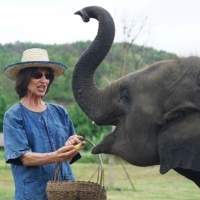 - Learn how to prepare healthy food for the Elephants. - You will then feed and have the opportunity to take amazing videos and photographs of our Rescued Elephants. 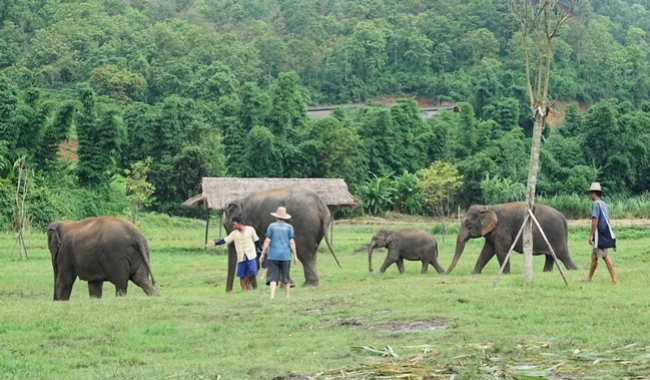 - Walk with Elephants around the vast property of the sanctuary. 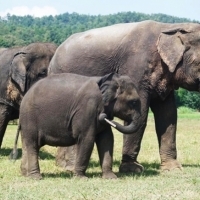 - Enjoy the Elephant mud spa that keep their body temperature down and protects them from parasites. - Bathing and washing elephants in the river. - Then you will take a shower and change back into your own clothes. - Feed the Elephants again before saying good-bye! 12:00 : Our delicious home made Thai food will await you at our restaurant where you will dine with beautiful scenery. - After lunch, we will drive back to Chiang Mai. 13.30 : Arrived at your hotel with the Memorable Experience of a life time..!! Please Note : You'll be able to join the Afternoon session, but we have to pick you up at 1.30 pm and the tour will be finished around 5.30-6.00 PM. 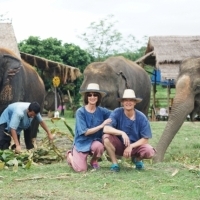 Our Elephant Sanctuary called : LANNA KINGDOM ELEPHANT SANCTUARY. 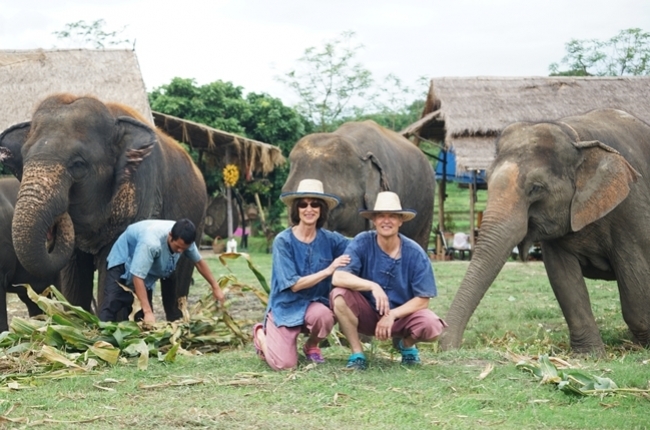 Feedback review : " Exellent half day elephant tour "
" Wonderful afternoon spent with elephant! " 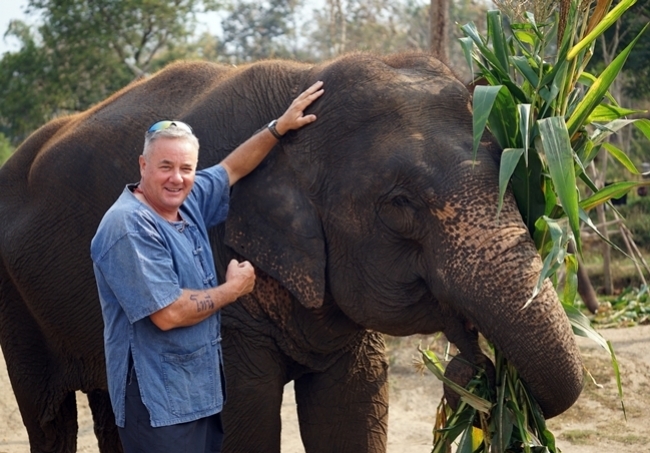 " An Amazing day with elephants and my 7 yrs old son "
" Will Not Trade Anything for an Experience Like Today! " 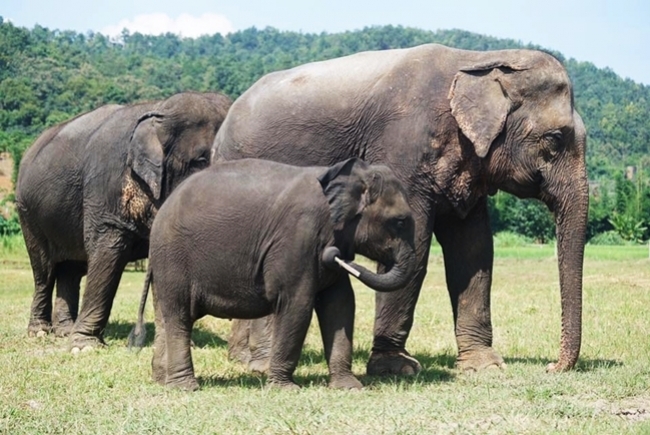 Why choose Lanna Kingdom Elephant Sanctuary? 1. We DO NOT RIDE elephants, we want them to live in peace and harmony in their natural habitat. 2. We love, Rescue and Respect elephants. 3. We are locals providing a local experience. 5. We use organic food to feed the elephants which comes from the hill tribe people and our small gardens, providing a sustainable community. 6. 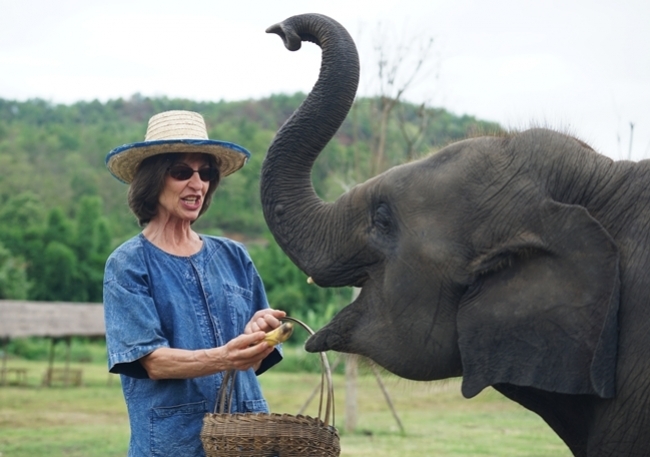 Our Mahouts (Elephant keepers) are well trained and good - natured. 7. Our aim is to keep elephants from cruel and abusive treatment, and allow them to live comfortable as well as educate the public awareness of the need to protect elephants. THEY ARE ENDANGERED!. 8. 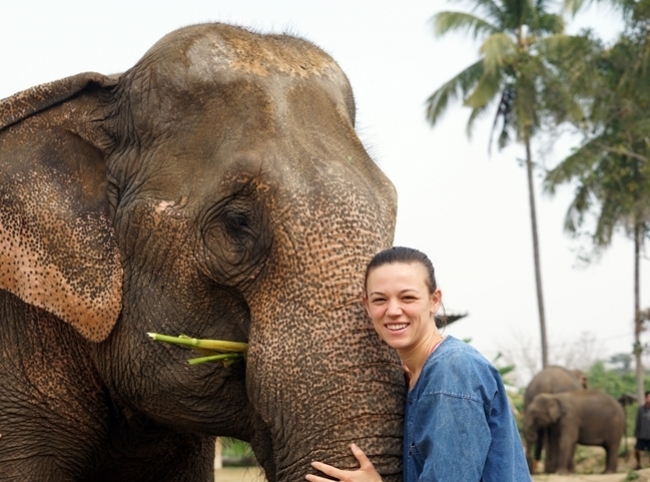 We believe in allowing the Elephant to roam free and give fair wages to the local people. 9. We need your support..! *** We will provide clothing for you to change, towel and boots at the sanctuary. We will take very good care of you and Guarantee Satisfaction,.! PRICE : Only 2,500 baht per person. * Small Join group tour and No Crowds ! * Our price is reasonable price compared to our services. You really get What you pay for.! - Drinking water & refreshing towel. 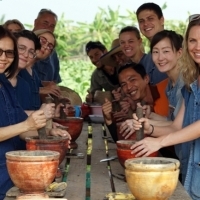 - Knowledgeable English speaking tour guide and licensed. - Pick up & drop off at hotel in city. - Good lunch and seasonal fruits at Sanctuary ( Thai Home Made Vegetarian Food ) with Bueatiful Scenery. 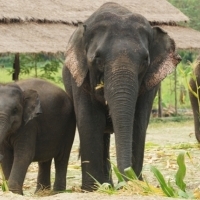 - Bananas and Sugar Cane to feed elephants. - Big Bamboo Hat and Boots. - Good services from our tour guide, driver and all staffs. - Memorable Experience in a life time. - Gratuity (tip) for a guide/driver. it is deeply appreciated. - Camera, sunglass, sun lotion. - A set of undergarment ( you might get wet when bathing with elephants ). - Your personal medication such as diabetes or asthma. 1. Below 9 years old : at half price . 2. 9 years old up : considering to adult price . * Please contact us for more information or any question you may have...?